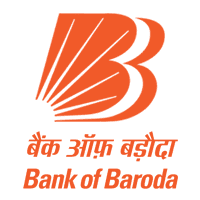 Bank of Baroda Jobs Recruitment Notification 2018.Bank of Baroda inviting applications for the positions of Chief Financial Officer.Interested and Eligible candidates can apply for the positions. 1. Educational Qualification: A qualified Chartered Accountant. Experience and Job specific skills: Minimum 15 years of experience in overseeing financial operations, preferably accounting and taxation matters, in banks/large corporates/ PSUs/Financial Institution/Financial services organisation of which at least 10 years should be in Banks/Financial Institutions of which five years should be at Senior Management level. a. Oversees all financial functions including accounting, budget, credit, insurance, tax and treasury. b. Designs and coordinates a wide variety of accounting and statistical data and reports. c. Monitoring and review finance and treasury policies, procedures and practices in line with international accounting standards, legal requirement and industry best practices. d. Ensuring prudent management of the Bank’s cash flow and associated financial risk exposures. e. Demonstrates expertise in a variety of the field's concepts, practices, and procedures. f. Ensuring the timely completion and submission of financial and statistical reporting for management and regulatory agencies. g. Informing and advising senior management on the organization's financial condition. Interested candidates are advised to visit the Bank’s website www.bankofbaroda.co.in (Career page) for further details. The last date of submission of the application is 31.07.2018.